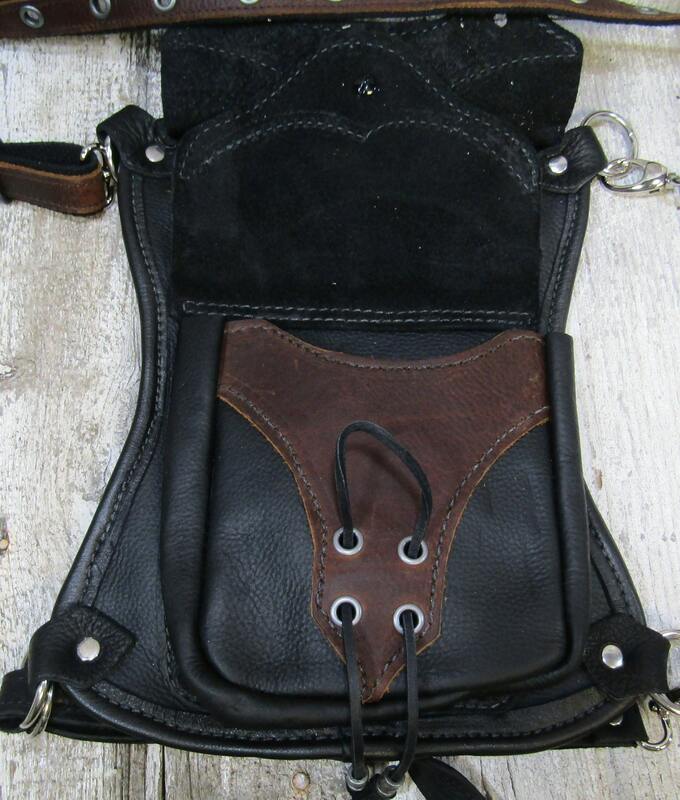 This is a bag of my own design. 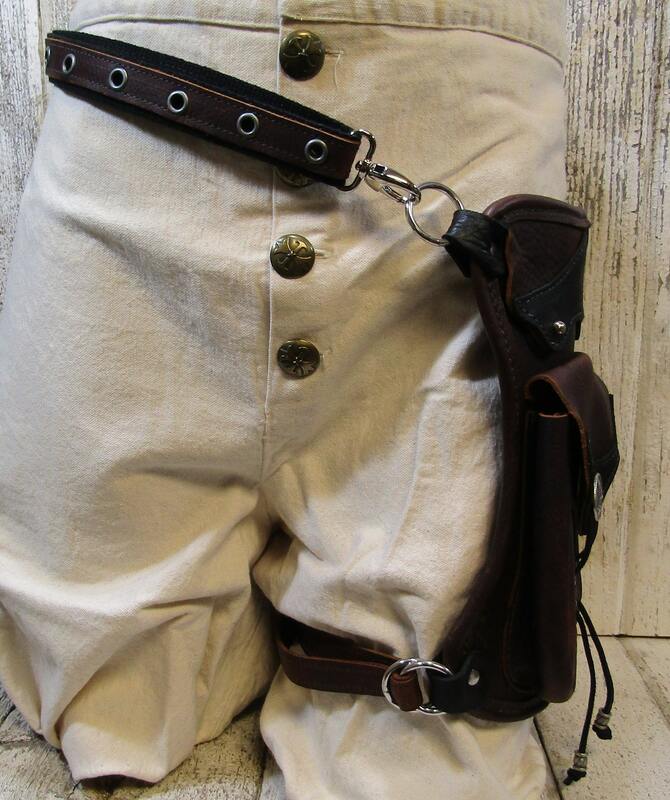 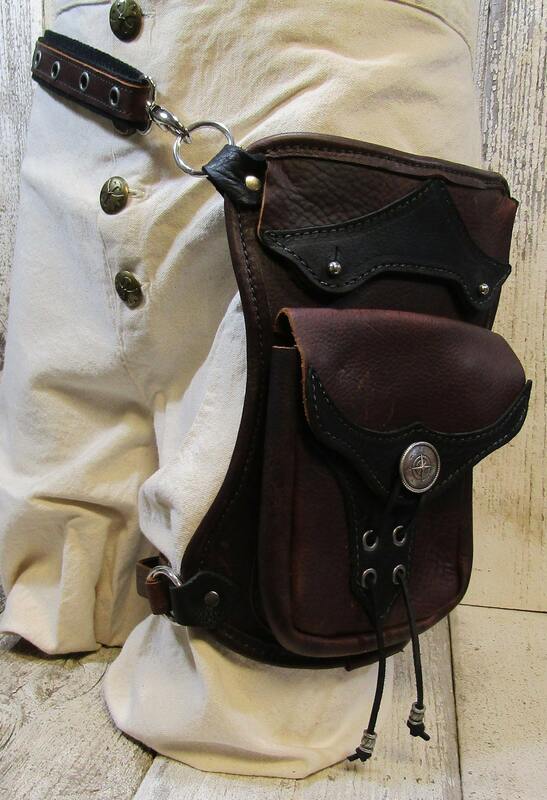 It is a hip/thigh bag made of a soft to medium temper Kodiak oil tan leather. 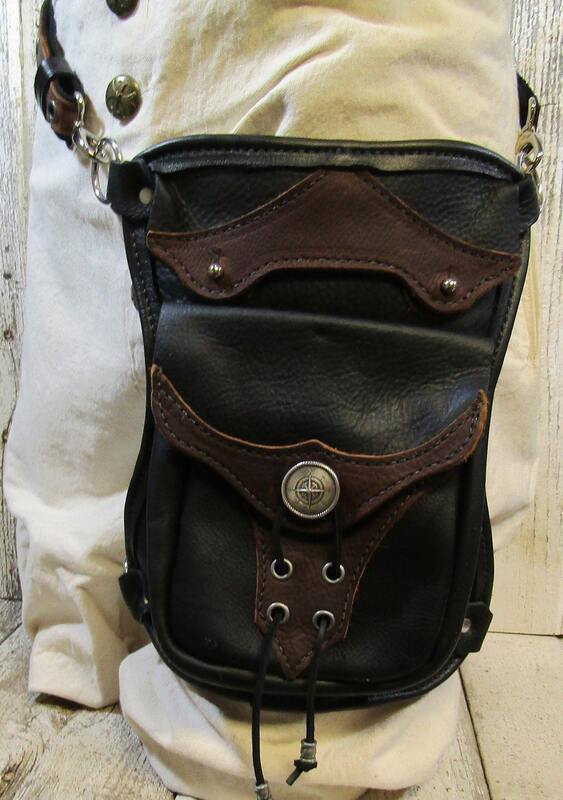 There is a deep pocket under the top flap that goes down the entire length of the bag, and secures closed with two button studs. 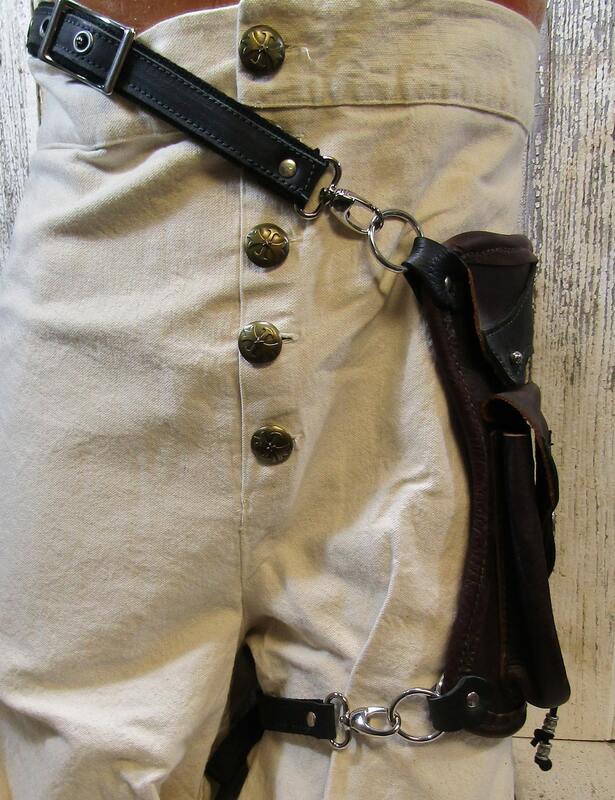 The front pouch secures shut with a nautical compass rose medallion and leather lace with silver colored beads. 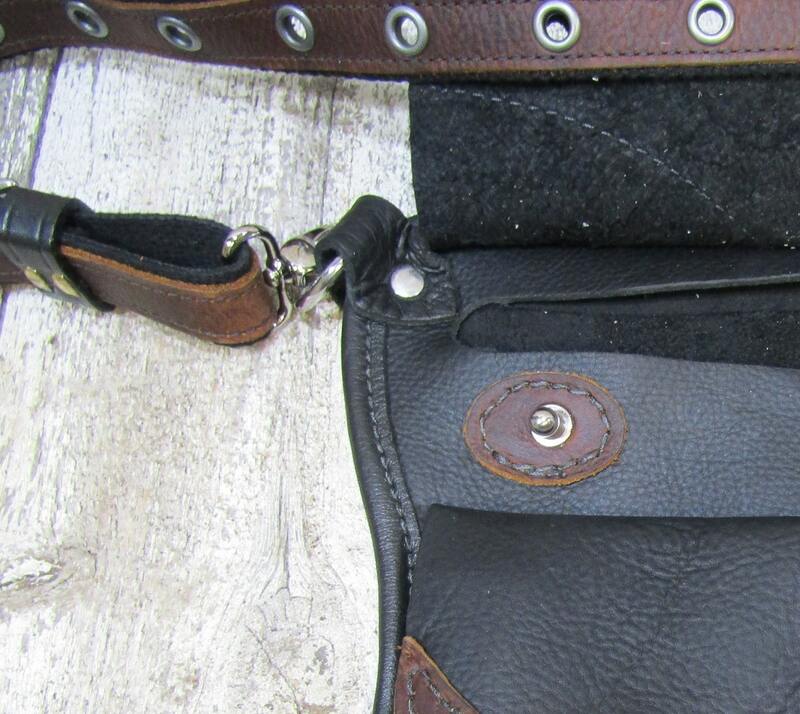 Leather piping is sewn around the entire perimeter of the main bag.